Playable samples below the kind review. If you don't see the controls, your browser doesn't support the HTML5 standard player. Discover the musical talents of Heirs of Salvation, Pastors Bobby & Peggy Ewbank, as they serve up wonderful traditional Country Gospel music on their album, "Jesus Lives." 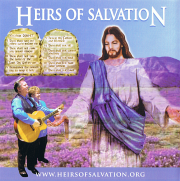 This duo lets listeners discover the messages of faith, hope, and love through their well crafted songs. 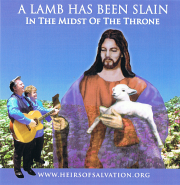 The opener/title cut, "Jesus Lives," is energetic and lively as the Ewbanks sing in harmonious style and grace and is surrounded by the dynamic instruments in good old Country fashion. The song, "I'm On Fire for My Lord," is a rocking number set to powerful lyrics of spirituality. Another song, "Holy Ghost Train to Glory," is vibrant and upbeat as the vocals seize the meaning of devotion with a sharp flowing melody. 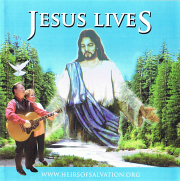 If you're a fan of traditional Country music and messages of faith, then you will enjoy the finely crafted spiritual songs on, "Jesus Lives."